Power banks come in a variety of shapes and capacities, everything from tiny devices such as the Onaji Pawa for emergency power to keep you going until you get home, to the high capacity units which could charge your phone 10 times over. There are a number of factors which are important when it comes to choosing which power bank is best. One factor could be portability, some power banks are small enough to carry in a pocket; whereas others would be too heavy to carry any distance even in their own case or bag. So for devices you intend to carry with you every day, avoid bulky and heavy designs. On the other hand if you need a heavy duty unit you intend to sling in the boot of your car, weight is not such an issue. The other main factor is the capacity. Remember that power banks do not deliver their full advertised capacity to your device, unless the manufacturer states otherwise, expect around 70 percent efficiency. You need to check the specification of the battery in your device and then compare this to the power bank capacity at 70% to estimate how many full charges you can expect from the power bank. 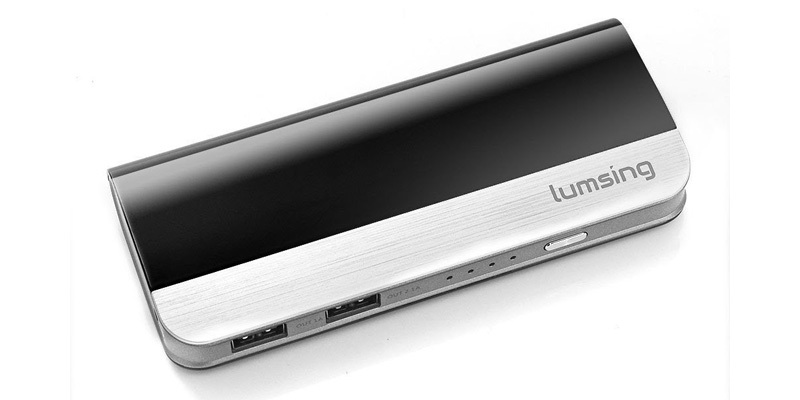 When it comes to power bank manufacturers, there are some that stand head and shoulders above the rest when it comes to quality and reliability, the top brands – in no particular order – are Lumsing, OnePlus, iHarbort, EasyAcc and Aukey. Lumsing are perhaps the most well known brand of them all, this Illinois based manufacturer has over a decade of experience providing quality products with top rated customer service. Their main products are Power banks, Bluetooth keyboards and speakers, and mobile phone accessories. Their best selling power bank product in the Uk has to be the Harmonica Series Dual-usb 10400mah device which is specifically aimed at Iphone 6s users. OnePlus is a Chinese smartphone manufacturer which also produces the excellent value OnePlus Power Bank which offers high-end features including LCD display and passthrough charging, but at a rock bottom price. iHarbort also offers excellent value for money and the 5000mAh iHarbort is one of the cheapest power banks on the market and is very compact and easily portable. EasyAcc produce the PB100000CF 10,000mAh PowerBank which again offers astonishing value and is highly recommended. Last but not least, Aukey power banks offer great power capacity plus many support pass-through charging. Their 5000mAh External Battery Charger charges smartphones and tablets really fast and is easy to use with no physical buttons whatsoever.